In the fast food industry’s ongoing bid to distance itself from anything resembling fast food, Taco Bell has unveiled a 24-hour “flagship destination” on the Las Vegas Strip that includes dedicated DJ booths, a retail store, VIP lounges, and probably a few guitars signed by Peter Wolf or something. Marisa Thalberg, the chain’s chief marketing officer, calls the store the “ultimate expression of the Taco Bell brand and lifestyle,” though it resonates as Taco Bell’s bid to be the next Hard Rock or Rainforest Cafe, what with the branded shirts, bikinis, rings, and towels available in the accompanying retail shop. 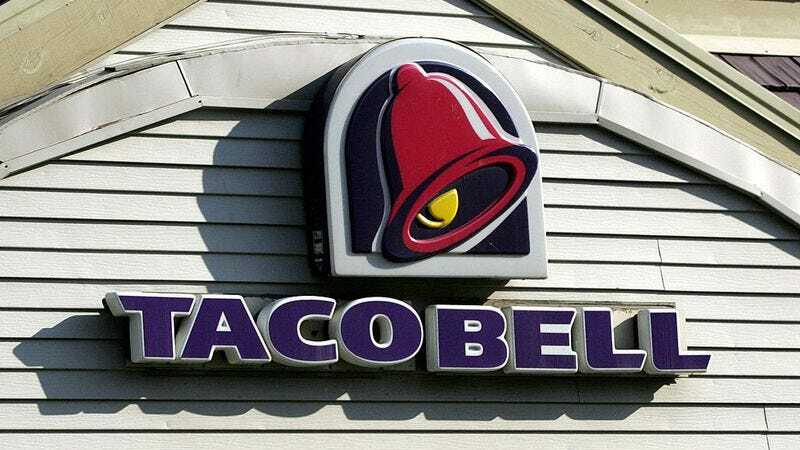 The fourth in Taco Bell’s adult-oriented Cantina locations, the Vegas store, like its forebears in Chicago, Austin, and San Francisco, aims to drive people inside by getting rid of the drive-thru and installing digital signage and a range of alcoholic slushie taps. The menu will include “shareable tapas-style nachos, quesadillas, and chicken fingers.” The retail shop is new, as is its around-the-clock service and exhibition kitchen, where, if you’re so inclined, you’ll be able to gaze upon the bored teenager pumping bright yellow cheese onto your nachos. Thalberg says the Vegas location’s new innovations are a test: “We’re going to have a lot of fun playing around with it and seeing what people respond to.” A successful run could result in big changes for the chain. The Bell is looking to open 2,000 new stores by 2022, all of which will adopt one of four new designs: California Sol, Modern Explorer, Heritage and Urban Edge. There’s also a new logo, the company’s first redesign in more than 20 years. One thing’s clear: Taco Bell wants to see you inside its restaurant rather than grabbing a bag to go. It’s an interesting approach, and differs from McDonald’s current plan, which is centered more around its menu more than amenities and aesthetics. Time will tell which strategy pays off.